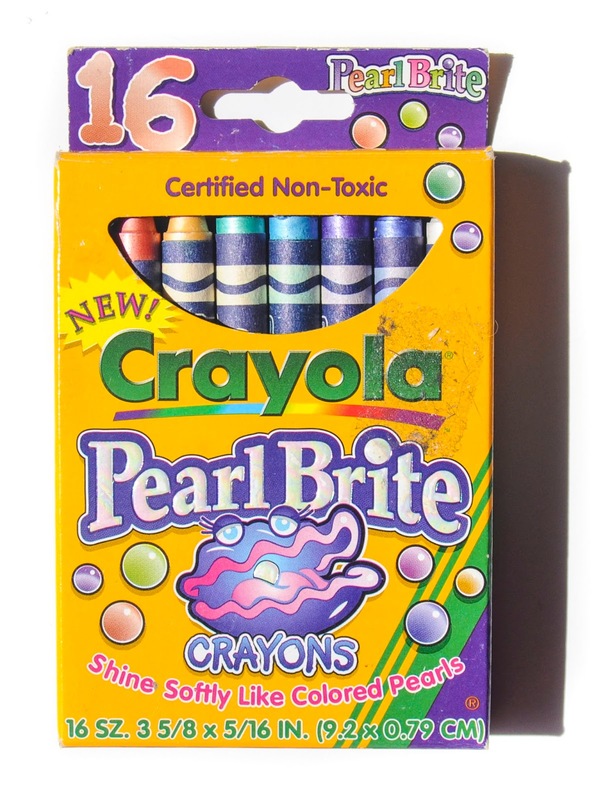 The Crayola Pearl Brite crayons came out in 1997, one was a 8 count box and other a 16 count box. These crayons are similar to Silver Swirls crayons. They came out at a time when crayola was doing a lot of experimentation. 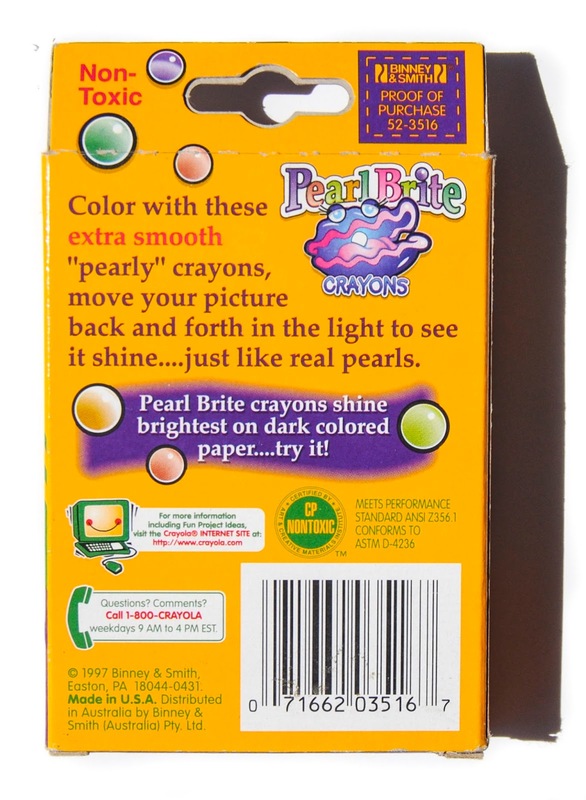 They produce a soft luster on the paper hence the Pearl Brite name. The crayons are all named on an ocean theme with pearl at the end. I never bought the Crayola Pearl Brite crayons when I was a kid. I was in high school by that point and probably worried about high school things. And I did not have a lot of money. I wish I would have bought them though and so many more boxes. There are some truly great boxes that came out around that time. Crayola was experimenting a lot with of different effects with crayons. I have not found a patent on this box, but they remind me of the Silver Swirl crayons. I picked up this Canada box from a fellow collector who is selling his entire collection. I wish I had the money and the room to buy his whole collection. This is my first international box of crayons. I am excited to have them. The other box comes from Stacy Hodges whose story is very similar to mine. She has a ton of crayons and has been collecting them her whole life. The box design is different for the Us and Canada boxes. The Canada box is white, and does not contain a year on the box. It also has the word nacres on the front and French writing on the back. It references www.crayola.com/canada. The crayon wrappings are not colored. The US box contains the specs on the front, and the year on the back. The back is the same color as the front and the crayon wrappers have the same color as the crayon on them.